Driving through the gates of Tyler Perry Studios, it’s easy to be impressed. The campus—formerly Fort McPherson—is rumored to be twice the size of Warner Brothers in Burbank, Calif. Sound stages have hosted everyone from The Walking Dead to Marvel’s Black Panther. Equally impressive, of course, is the man behind it all. 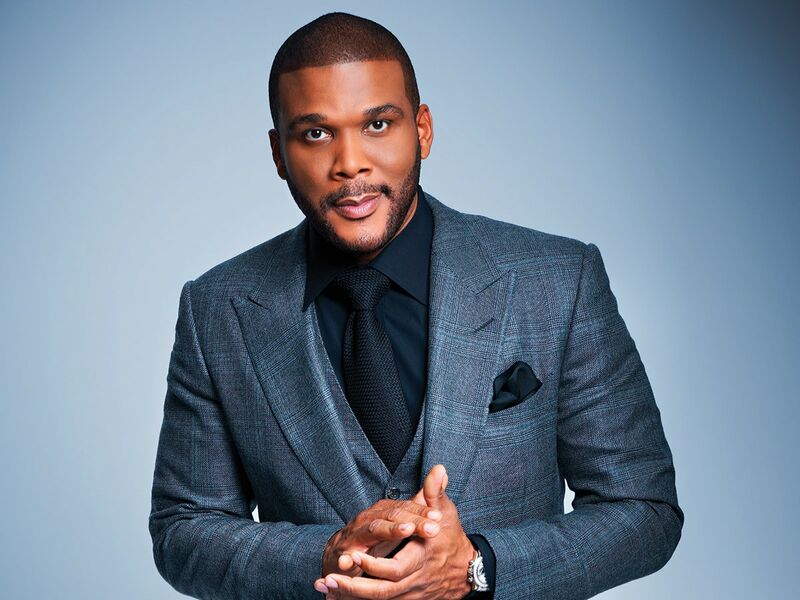 Here, Tyler Perry discusses his newest soon-to-be-smash hit, Acrimony, the beloved Madea, and the legacy he leaves to both his son and moviegoers alike. Why was now the time for you to do a thriller like Acrimony? After [acting in] Gone Girl, I wanted to do something different. I had spent time with David Fincher and Ben Affleck, and they are brilliant directors. It inspired me. I wrote [Acrimony] soon after that. How was it directing someone like Taraji P. Henson? Did you have her in mind for Melinda from the beginning? Taraji is masterful and so easy to work with. We’re both Virgos, and very likeminded. We have a language—it’s our third film together. You’ve done noncomedies before, but do you think there’s anything that will surprise viewers about Acrimony? I just took the reins off. I let the characters go where they wanted to go, and I didn’t censor them. ... This time I just let the characters speak. It’s rated R for strong language and some violence. I took my time. The way it unfolds... you think it’s going one way and then you are thrown for a loop, as I think a good thriller should do. You’ve said in other interviews that all your films come back to “faith, family and forgiveness.” Is that true here? This one is about unforgiveness and not being able to let go. And at the end of the film, there’s this metaphor about what happens when you can’t let go. It’s a beautiful metaphor. So it’s about forgiveness—but the ‘un’ part of it. Your audience is a reflection of your authenticity, and they always leave with some sort of message. I think that’s definitely going to happen in Acrimony. The man had issues, but he wasn’t a bad person. She had issues, but she wasn’t a bad person. It’s just sometimes... things don’t work out. 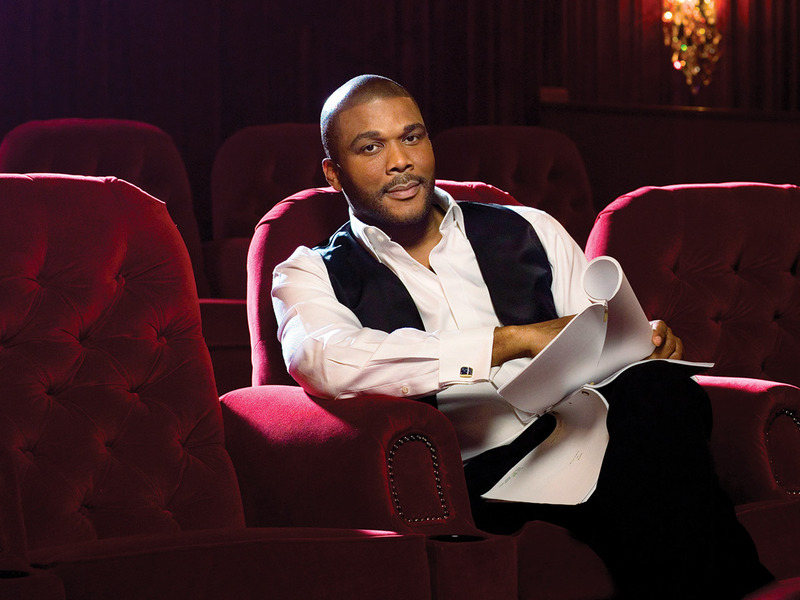 According to Los Angeles Times, you are the most successful African-American filmmaker, with the most movies to open over $20 million at the box office, and the first to own a studio outright. What does that mean to you? Now that I have my 3-year old son—a pistol, he’s so smart—I’ve shifted into legacy. I think the first quarter was about building the brand, building characters, building the audience, and now it’s about focusing on, ‘What legacy do you want to leave?’ and ‘How do you want to have it pictured?’ Right now, I’m reframing the narrative, and I’m pretty excited. Part of Marvel’s Black Panther was shot on your sound stages. How does it feel to be a part of what feels like a new era in television and filmmaking, in addition to your legacy? Tiffany Haddish thinks she’s a unicorn—but [director] Ryan Coogler, he is. For his third film to be that well-done—that brilliant—is remarkable. There is a new wave; there is a new shift that has happened. There was a 10-year period where there wasn’t anything with black people [airing] on television. And I was the only one out there. And I took a lot of hits for it. ... To see everyone getting these amazing opportunities to paint these incredible stories and have their own say is freeing for me, and I celebrate it. What are the advantages to shooting in Atlanta, besides it being an easy commute? I don’t think I chose Atlanta—Atlanta chose me. When I came here 20-something years ago to party for Freaknik, I saw black people do well, and I had never seen that coming from New Orleans. Everywhere you turned, there were black lawyers and doctors, and people going to restaurants with their families, things I had never fathomed or done as a kid. I thought, ‘This is where I want to be.’ So to come here, to set up shop—when there was no tax credit; there was no incentive—I just knew this was home. And I am so incredibly fortunate and blessed to be in a position to help foster this whole thing into what it’s become. Not a lot of people can say that they have complete creative control over everything that they do. For so long, I’ve been able to stay authentic to the voice I have and also to the voice of the audience that I was cultivating. And if you have other filters telling you what you can do and what you can’t do, then what happens is the original vision and the original people that you are speaking to—the connection isn’t made. Let’s talk about Madea. How do you come up with all these ideas? [Laughs]... I don’t know. That old broad has been hanging in there a long time. You get more and more creative every time, and it’s spot-on funny. You know, most people can’t even come up with a good sequel, let alone all these movies. I believe that’s grace. And it also speaks to the audience, about how endearing they’ve been—we’ve galvanized together... and there’s a lot going on in my head. How do you do it—direct and act at the same time? I don’t even think about it. I’ve been doing it for so long. I know actors who have to be [dramatic voice] very in the moment and committed to the moment. This is Madea. I’m not doing Othello. [In Madea’s voice] ‘Thou art who thou art!’ No [laughs], no! It doesn’t need that much concentration. It’s just me and the character, and I’ve been playing her for so long that she is second hat. If you could go back and give your 10-year-old self any piece of advice, what would that be? That you’re not weird. You’re going to be OK. All the feelings that you have are normal. And this imagination that allows you to disappear and escape, that’s going to be a good thing in the future for your writing and your work. It’s strange that you say that. Looking at my 3-year-old, who is my spitting image, I constantly am saying things to him, but the little boy that I was is hearing that, [the things] I never heard from my father. So he’s a healer in that sense, that as I say things to him, as I watch him grow through the years, I am feeling something so different because he’s stitching holes in my soul just by the love I’m giving him. You’re also playing Colin Powell in a movie that comes out in December. How was that? It was a lot of fun. Adam McKay is a really brilliant director, and to have an opportunity to work with him on a drama was a lot of fun. Are you going to do more acting gigs? Depends on the gig. Gone Girl was two weeks of work. Colin Powell was like a week and a half. So long as it’s like that. ... 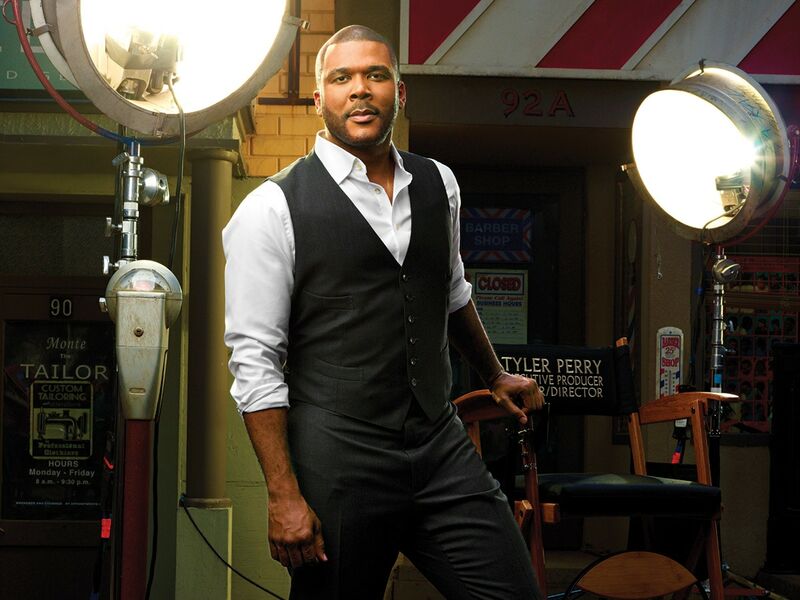 It would have to be something really major for me to put the brakes on here [at Tyler Perry Studios]. It would have to be something incredible. You do have a lot to take care of. [Laughs] I have a lot going on.